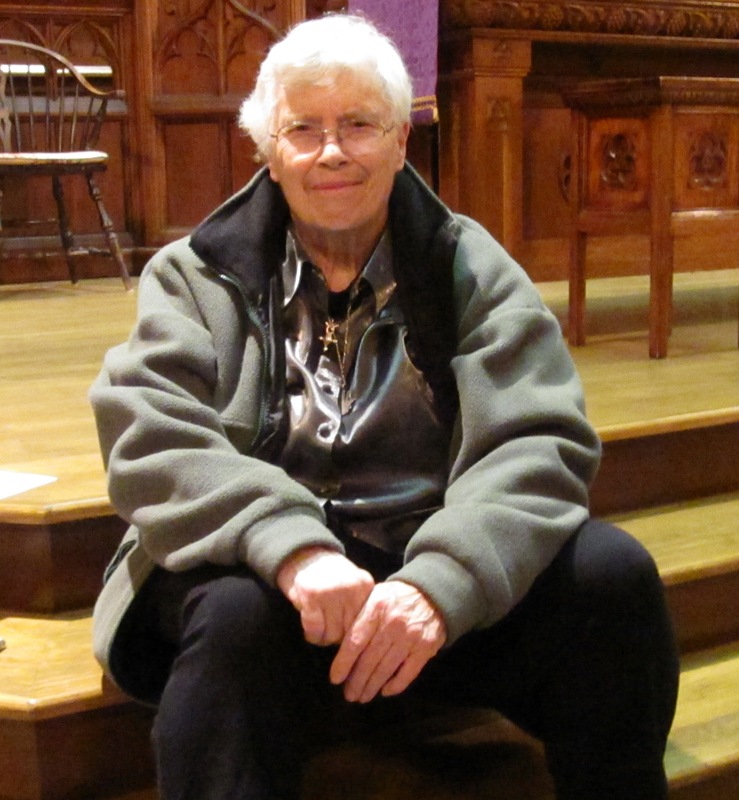 Composer and accordionist Pauline Oliveros has been experimenting with sound for more than six decades. 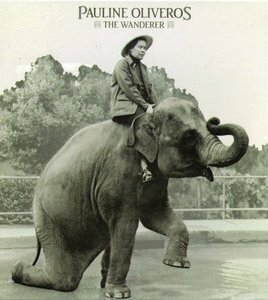 She made her name in the 1960s as a pioneering electronic music composer and member of the San Francisco Tape Music Centre. Since then, she has continued her explorations as a composer, performer/improviser, professor, and most notably as founder of the Deep Listening Institute, based in New York State, which is dedicated to the heightened appreciation of sounds through performances, workshops and new technologies. 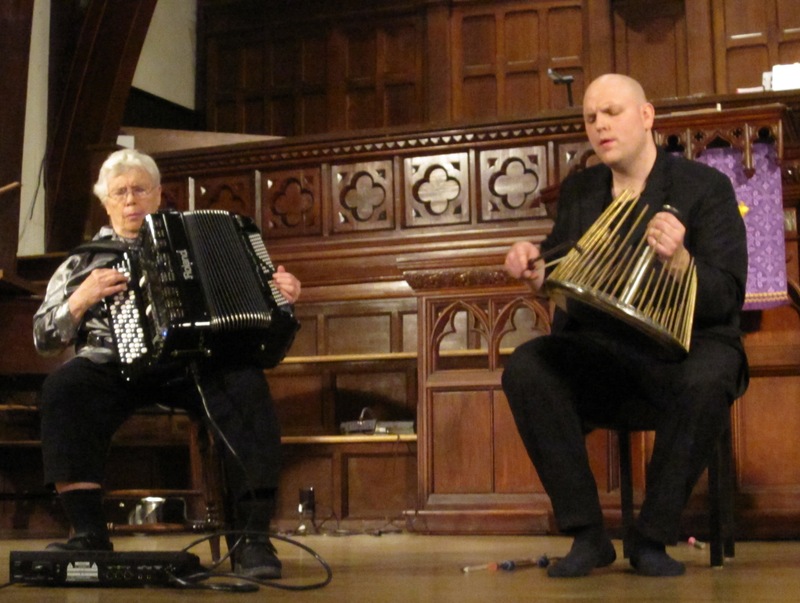 Anita Malhotra spoke with Oliveros after she performed a series of improvisations on the digital accordion with percussionist Jesse Stewart at Ottawa’s Glebe St. James United Church on March 17, 2011. AM: Where did your interest in music and sound come from? Oliveros: From my mother and my grandmother, who were pianists, and they taught. AM: What was some of the music that made an impression on you when you were younger? Oliveros: All the music that I heard. And I heard a lot of different kinds of music. I heard country music, I heard jazz, I heard symphonic music, opera, everything you can think of except very modern music. AM: Did you start playing the accordion when you were young? Oliveros: Yes, I was nine years old. AM: Why did you choose the accordion? Oliveros: My mother brought one home. She was going to learn to play it so she could teach it and increase her income. And I got fascinated with it, so she backed off and let me do it. AM: What did you find so fascinating about the instrument? Oliveros: The sound and just the fact that it was different from the piano, yet it still had some familiarity. AM: How did you get interested in electronic or tape music? Oliveros: In the ’60s my friends were interested and we were hearing electronic music coming in on community radio from Europe, so that’s where it started. And I had a tape recorder and started making things with it. AM: Can you tell me about your work at the San Francisco Tape Music Centre? Oliveros. The San Francisco Tape Music Centre was a kind of collective non-profit that my friends and I got started so that we could pool our equipment and make tape music. There is a book called San Francisco Tape Music Centre:1960s Counterculture and the Avant-Garde and this book describes everything that you want to know or don’t want to know about it, with a lot of documentation. AM: Did you feel it was challenging being a female composer at the time? Oliveros: Well, I felt a challenge to compose music. That’s where my challenge was, for the most part. I had to cope with attitudes that were not supportive all along. I mean, you still have that. I think the worst thing is stereotyping. You run into stereotypes so that the stereotype filters who you are and what you do, and having to deal with that was the most frustrating thing for me. AM: What was the stereotype – that women cannot be good composers? Oliveros: Well, that certainly was the paradigm, but I think it’s changing. AM: In your work there’s an intersection of music and technology. Has technology always appealed to you? Oliveros: Yes, all the way from the first thing that I can remember, like our Victrola – a wind-up record player – and my grandfather’s crystal radio, and my father’s shortwave radio. Radio in general. You know, radio broadcasting was only 25 years old when I was born in 1932. AM: What was the originality of “Bye Bye Butterfly”? What were you doing with that piece? 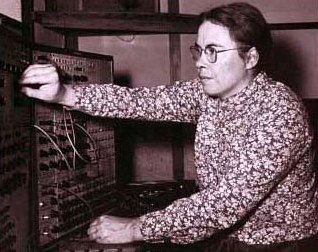 Oliveros: I had invented my own system, my own way of making electronic music at the San Francisco Tape Music Centre, and I was using what is now referred to as a classical electronic music studio, consisting of tube oscillators and patch bays. There were no mixers or synthesizers. So I managed to figure out how to make the oscillators sing. I used a tape delay system using two tape recorders and stringing the tape between the two tape machines and being able to configure the tracks coming back in different ways. And one day I decided I would like to put a record into my system. So I picked up a record that was lying on the table, and put it on. I didn’t bother to look at what it was because I didn’t care, and it turned out to be Madame Butterfly. So I processed the aria from Madame Butterfly in my system and I played with it. AM: What state of mind would you have been in when creating a piece like that? Oliveros: Well, I used to go into the studio around midnight and stay all night. First of all I had to teach myself how to use the studio because there wasn’t any classes in electronic music. So I’d stay there all night and leave in the morning, observe the sun rise and have a lot of different kinds of sounds in my mind. But it was a quest, it was a search. It was research, it was learning. AM: Is music a spiritual activity for you? Oliveros: Yes, of course. What else could it be? AM: Tell me about your concept of deep listening. Oliveros: Deep listening is experiencing heightened awareness or expanded awareness of sound and of silence, of quiet, and of sounding – making sounds. AM: In one of your interviews you talk about a “tuning meditation.” Some involved only a few people and some as many as 6,000. Can you tell me about the one that involved 6,000? Oliveros: That was at the Michigan Womyn’s Music Festival in about 1989. There were 6,000 women there, and they were out in a meadow, and I offered the tuning meditation and they did it. AM: What did it consist of? Oliveros: Singing a tone from one breath with the option of tuning exactly to somebody else, or contributing a tone that nobody else is singing. AM: You’ve said that music affects the mind and the body. Can you tell me more about that? Oliveros: I’ll just say that I made my own explorations of tone by listening to a tone for a long time until I began to understand what my sensations were, what my mind was doing with tone. So that’s something that I did, and I developed out of that sonic meditations, which were pieces that I composed in the ‘70s that now are very well-known and used in many classrooms all over the world, but at the time were outrageous. AM: What is Improvisation Across Abilities? Oliveros: That’s software in the States that I helped to develop. It enables people with disabilities to improvise. So those people who don’t have any voluntary control, or hands, can work with the physical movement that they can do – whatever voluntary movement they have, even the slightest. AM: What led you to create it? Oliveros: A conversation with a friend who was an occupational therapist in a school for disability. She needed help. AM: What is the role of improvisation in your music? Oliveros: It’s been with me all my life. We all do it. Everybody improvises their way through every day. And so I do that with music. AM: What are some of your upcoming activities? Oliveros: I have a commission to do a piece in a place in California, Oliver Ranch, which has an eight-storey structure called The Tower designed by the visual artist Ann Hamilton. She designed it as a performance space, and I have a commission to do a piece for that, which I’m working on. It will be a benefit for the Deep Listening Institute and there’ll be audience participation. There will be performers, chorus, choir, and a big gong suspended from the top of the tower. Quite a big project. Pauline Oliveros’ composition Tower Ring will be performed at Oliver Ranch in Geyersville, California on June 4 and June 5, 2011. For more information about Oliveros and her projects, visit the Deep Listening Institute website. This entry was posted in MUSIC and tagged 1960s electronic music, 1960s tape music, accordion music, American composers, Ann Hamilton, Bye Bye Butterfly, deep listening, Deep Listening Institute, digital accordion, digital accordion composer, electronic music, electronic music composer, Electronic music pioneers, female composers, female musicians, Improvisation Across Abilities, Jesse Stewart, Michigan Women's Music Festival, Michigan Womyn's Music Festival, Oliver Ranch, Oliveros composer, Oliveros music, Pauline Oliveros, Pauline Oliveros interview, Pauline Oliveros photo, San Francisco Tape Music Centre, sonic meditation, tape music, Tower Ring, tuning meditation, woman composer, women composers. Bookmark the permalink.